Gum disease or periodontal disease is a chronic inflammation and infection of the gums that destroys the supporting bone and tissue around your teeth. It is the major cause of adult tooth loss, bad breath, and affects three out of four people after the age of 35. It provides a direct path for bacteria to enter your blood stream on a daily basis. What causes gum disease throughout the mouth? The most common causes are an over abundance of bacteria in the mouth, a weak immune system, a diet low in nutrients, a medical condition, and in some cases a wide variety of synthetic medicine. Our Healthy Heart Dentistry in St. Petersburg program will address each of these issues. What do blood tests reveal about people with gum disease? Blood TestGum disease can elevate the risk factors for heart disease and diabetes: cholesterol, hs-C-Reactive Protein (hs-CRP) and glucose levels. We screen for these before and after your periodontal treatment. If they are elevated after treatment there is a possibility of an underlying medical condition. Our goal is to make sure that your oral condition is NOT elevating these blood chemistries so your physician can make an accurate diagnosis. Heart attack, stroke, and diabetes are among the biggest heath issues we have today. Research shows that a 10% decrease in total cholesterol can reduce the incidence of heart disease by as much as 30%. Many times we see a decrease in cholesterol after periodontal treatment. High sensitivity C-Reactive Protein (hs-CRP) can become elevated when there is inflammation present such as inside your mouth or inside the blood vessels leading to your heart. This test can detect elevated hs-CRP on apparently healthy individuals that have no symptoms. Research shows that 50% of men and 64% of women that die suddenly from heart disease, had no previous symptoms, and have normal cholesterol. Therefore, leading medical centers use hs-CRP as one of the tests in determining your risk factor for heart disease. Many times we see a significant decrease in hs-CRP after periodontal treatment. Research shows that glucose levels rise and are hard to control in diabetics if they have periodontal disease. Physicians can better determine the proper amount of medication when periodontal disease is not present. Occasionally blood glucose levels are significantly reduced after periodontal treatment. We encourage follow up care with your physician. Appropriate modification of risk factors (including high blood pressure, smoking, physical inactivity, obesity, and diet) is also necessary for stroke, heart attack, and diabetes prevention. The dentist looks for red, swollen or tender gums that bleed easily when performing the dental exam, persistent bad breath, a frequent bad taste, and shifting teeth causing spacing or a change in the way teeth fit together when the patient bites. Inflammation is how the body fights infection. Many times patients have no discomfort with mild chronic infection until the disease has spread to a point where the tooth is unsalvageable and the health of the rest of the body is at risk. That’s why it is advised to get frequent dental exams and preventive dental cleanings. In most cases of gum disease the treatment involves cleaning under the gums. This is called scaling and root planning, which in many cases, can stop the need for painful and costly scalpel surgery. As adjuncts to treatment, university tested mouthwash, toothpaste, and pharmaceutical supplements have proven to be key elements in determining long term oral health. As part of our service, we will design a personalized program of oral home care to meet your needs. We realize that most patients do not floss daily, so a proven and more effective user friendly program will be customized for you to follow. YES–The at home program we teach you along with a thorough dental cleaning and exam at 3-6 month intervals as determined by your dentist, will eliminate the possibility of periodontal disease affecting your overall health. Research shows that the link between heart disease and gum disease is as strong as the link between heart disease and cholesterol, body weight, or smoking. Patients with gum disease were shown to have twice the risk of a heart attack and triple the risk of stroke. The bacteria responsible for periodontal disease can travel through your bloodstream to the arteries around your heart where they trigger a cycle of inflammation and arterial narrowing that contributes to heart attacks. High sensitivity C-Reactive Protein, cholesterol, and elevated glucose (blood sugar) are risk factors for heart disease and stroke. Periodontal disease can raise all 3 blood markers. Many times blood chemistry improves after periodontal treatment and the Healthy Heart Dentistry® protocol. 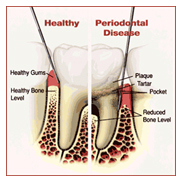 Diabetics have twice the incidence of periodontal disease. It is estimated there are 6 million diabetics undiagnosed in the U.S. Periodontal diseases may contribute to the progression of prediabetes, and can worsen blood sugar control and increase susceptibility to infection in the current 21 million diabetics, projected to double in number by 2010. 54 million people have prediabetes and many of them will develop Type 2 diabetes within 10 years. Studies suggest that osteoporosis may lead to tooth loss because the density of the bone that supports the teeth may be decreased, which means the teeth no longer have a solid foundation. Gum Disease adds to bone loss and speeds up the process. Rheumatoid Arthritis current research suggests the oral bacteria may serve to break immune tolerance or amplify autoimmune response initiating Rheumatoid Arthritis in genetically susceptible people. Any disease that interferes with the body’s immune system may worsen the condition of the gums. Severe periodontal disease in pregnant women is shown to have a sevenfold increase in the risk of delivering preterm, low–birth-weight babies. Researchers estimate that as many as 18 percent of the 250,000 premature low-weight infants born in the United States each year may be attributed to infectious oral disease. A much higher death occurs in premature, low birth weight newborns. The emotional, social, and economic costs associated with these small babies are staggering. Hospital costs alone surpass $5 billion annually. When costs to society in terms of suffering and managing long-term disabilities often associated with prematurity are considered, this figure escalates dramatically. have tracheal tubes. Many times patients notice an improvement in the occurrence of sinus infections after controlling their periodontal disease. Research indicates that Helicobacter pylori bacteria is associated with gum disease. These bacteria can cause duodenal ulcer disease and has been implicated in the development of gastric ulcers. Moreover, it has been associated with an increased risk for gastric cancer. In one recent Harvard study, a 63% increase of pancreatic cancer was noted in men who had gum disease. In addition, people with a history of gum disease and recent tooth loss, have a 2.7-fold higher risk of this fatal cancer. Another study found that 49 percent were more likely to develop kidney cancer, 54 percent more likely to develop pancreatic cancer, 30 percent more likely to develop blood cancers. For many years dentists and hygienists have noticed that dental patients experience less sickness when they are free of periodontal disease, follow the custom designed home care program including nutraceuticals, and have dental exams and cleanings 2-4 times a year. Research is now providing ample evidence to back this up. Neutraceuticals used during and after your periodontal health program to bolster your immune system. A Loma Linda University double blind study on people with gum disease and using Pharmaden’s Periotherapy product reported a significant decrease in bleeding and pocket depth around the teeth within 30 days. 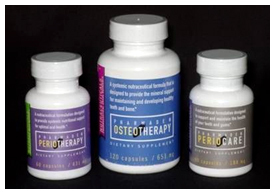 A high absorbing calcium nutraceutical is used for bone health and osteoporosis protection. February is Dentistry with a Heart month and for more information on the link between oral and heart health. Join us on Tuesday, February 2nd for coffee, continental breakfast and important information on your health! Forman D, Newell D, Fullerton F, et al. Association between infection with Helicobacter pylori and risk of gastric cancer: evidence from a prospective investigation. BMJ. 1991;302:1302-1305. Parsonnet J. Helicobacter pylori and gastric cancer. Gastroenterol Clin North Am. 1993;22:89-104. Parsonnet J, Hansen S, Rodriguez L, et al. Helicobacter pylori infection and gastric lymphoma. N Engl J Med. 1994;330:1267-1271. 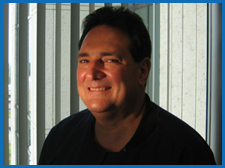 Hello, I am Dr. John Ferullo, your downtown dentist in St. Petersburg, Florida. On behalf of my entire team and myself, I welcome you to our Web site. Please feel free to take this opportunity to tour our site. There is a wealth of information on these pages which will give you a better understanding of dentistry, as well as the chance to meet our team. You can also view the dental services we can provide for you, which is our pleasure.